Well, it goes back to when I was a kid. 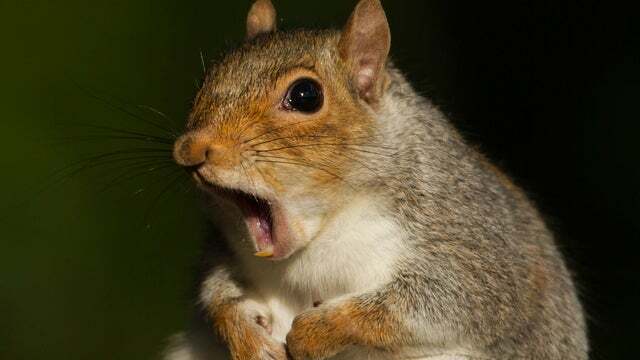 My mom would actually open one of the windows on our breakfast nook and start banging two peanuts together, and the squirrels would come up, and she would give them to the squirrels. And one of them was a red squirrel, looked like a fox. And she would sit there, “Come on little squirrel,” and they’d all come trooping up, and she’d give them some peanuts and they’d walk away. Well, anyway in San Diego they got a problem ’cause apparently a lot of other people think they’re cute and they’ve started feeding them. And they’ve turned ’em into a bunch of welfare recipients. Feeding the squirrels contributes to their overpopulation. When I saw “steal their Doritos” I just started cracking up. Of all things to steal, they steal people’s Doritos, the squirrels.